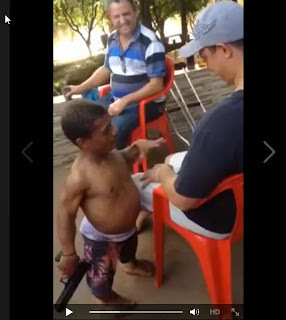 Home Main Viral News BIG man VS. LITTLE man ..A Man challenged in a fight BY a little Man! lets watch how brave he is..
BIG man VS. LITTLE man ..A Man challenged in a fight BY a little Man! lets watch how brave he is..
Milton ClayBorn Mansfield I never laughed so hard!!! When he tossed little man in the Air I was done!! Idk don't care how small you are. As a man You shouldn't ever let another man toss you in the Air!! Lmao!